What is the difference between a foodie and someone who just really loves to eat out? Meal memory. The ability to recall the buttery marbling of a steak or the subtle spice of a Moroccan-inspired custard at the pop-up of the season. A foodie can describe how the crunchy jicama relish brightened up a street taco they had at a food truck on vacation in Central America. These meals haunt a foodie. Keep them up at night, inspire grocery lists, and dominate conversations. It is for this very reason 'Restaurant to Real Life' was born!! 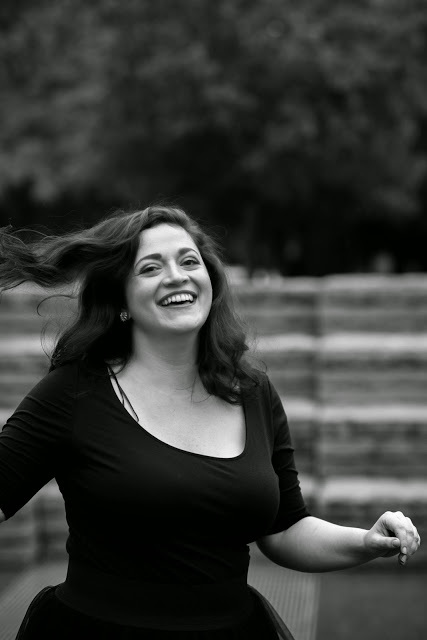 My hope is that Restaurant to Real Life will inspire you to take on cooking projects, travel, or even order something different off of a menu. Oh, and bring some very amazing dishes into my home, and yours. Maybe you will be compelled to pick up a new kitchen gadget, experiment with an ingredient, or discover the cuisine of a country in a different corner of the world. Prior to dining at Kachka in 2014 I had never heard of pelmeni. My knowledge of Russian food was pretty limited. But after eating my way through pickled fish, caviars, and some fun plays on mushrooms, I completely fell in love with Mother Russia's beloved dumpling. I'm inspired by the love that goes into this dish. It takes time, muscle and a good playlist. (Rule of Thumb: Always listen to Adele when kneading a dough.) The beautiful shape is enticing and clearly the 6th Love Language. This is the dish you make to impress a new love, comfort a sick child, or for a grandma who is not on Team Kale. It is classic. It is a forever dish. The dough is sturdy enough to safely encase a substantial filling, but subtle enough to let the seasoning shine and absorb a buttery broth. The filling can vary - a sour cheese, a medley of ground meats, or even cherries. They are similar to raviolis, but smaller and more filling focused. For this project I ordered a traditional pelmeni mold from Russia. It took about 5 weeks to arrive, but is now my most inspiring gadget. If that isn't in the cards for you, I recommend heading over to Brooke's blog for hand-wrapping instructions - and a meat filling. I also believe a ravioli tray could produce similar results. The mold helps sandwich and shape the dumplings into a beautiful, bite-sized nugget. The process involves laying a thin layer of dough over the tray, filling the pockets with dough, and rolling another layer of dough over the mold. When pressing and rolling the layers together be gentle. Excessive pressure can jiggle the dough and ruin the cut. As for the Famer's cheese, it was much easier to find than I originally anticipated. Any higher end grocery store (Whole Foods, New Seasons, Citarella) will have it. It is tangy and the addition of honey balanced the bite. Queso fresco would also work. And if you can't find it, make it! And the amount of broth made and served is up to you. 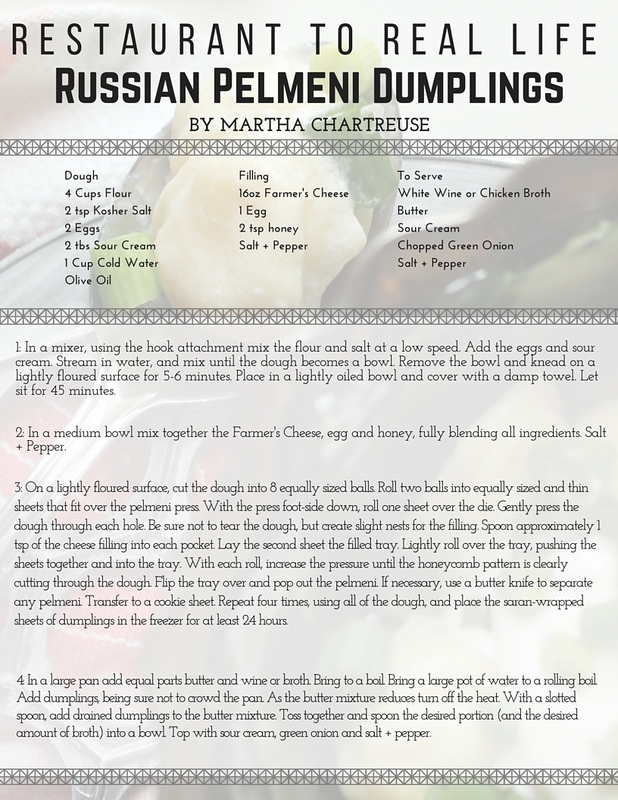 This recipe makes about 144 pelmeni, and a serving should be 12 pelmeni per person. (If that is number is different for you I won't judge. This is a safe space.) For a moderate amount of broth, calculate 1/2 TBS of butter per serving. 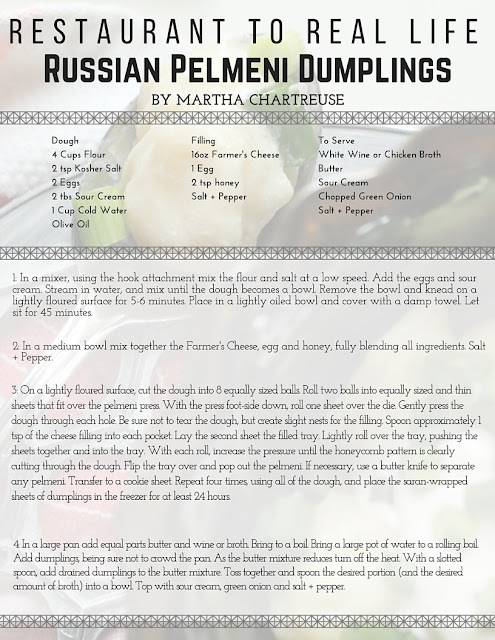 /Editor's Note: It was brought to my attention that Pelmeni have a meat filling and Varenki have cheese.